Stablon is a drug part of the antidepressants category; more specifically, it is a serotonin uptake accelerator – it increases the uptake of serotonin in the brain, reducing the neural dendrites atrophy caused by stress and effectively reducing the levels of extracellular serotonin. Unlike most tricyclic antidepressants, Stablon does not appear to cause any adverse effects on bodyweight, sleep or on the cardiovascular, psychomotor or cognitive systems. 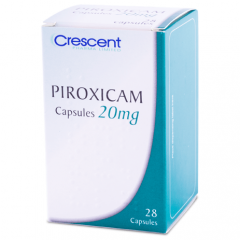 This medication is also known in other brand name as Coaxil.